If you’re an author in California who has completed your manuscript, and you now want to submit it large publisher, you’ll more than likely need a literary agent. Very rarely do large publishers accept submissions from authors. They require a book agent to act as an intermediary. However, being on the West Coast has lots of benefits. A major one is there are many literary agents in different parts of California who might be interested in receiving a query from you. 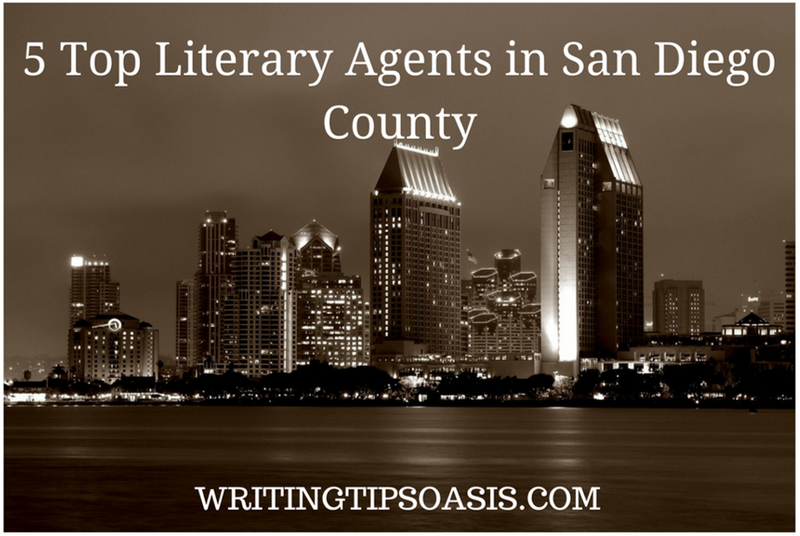 To help you get started, below are 5 top literary agents in San Diego County. Laura Bradford heads up Bradford Literary Agency, an organisation she founded in 2001 and which is in San Diego. From Laura’s own experiences as a writer, she appreciates the need to have an editorial focus on writing, and this has made her into a literary agent who actually helps her clients in developing book proposals and manuscripts. She has experience in selling books to the largest book publishers out there such as Penguin Random House, Simon & Schuster, Harlequin and HarperCollins, among many others. If you would like to make a submission to Laura, she is at present looking for genres including urban fantasy, mystery, women’s fiction, thrillers, young adult, various types of romance, upper middle grade and also a limited amount of nonfiction. Genres that Lisa is not currently looking for are chapter books, picture books, poetry, screenplays and inspirational novels. In order to make a submission for fiction, you need to email a query letter together with the first chapter of your book and a synopsis, the genre of your book and its word count. Your whole submission needs to be pasted into the body of the email you send. If you’ve written a nonfiction book, then your submission needs to consist of a query letter, a sample chapter and a complete book proposal; all of these elements need to be pasted into the body of your email. Do ensure you read the submission guidelines carefully before emailing in your submission. A San Diego literary agent at the Dijkstra Agency, Thao Le has recently represented New York Times bestselling authors such as Sandhya Menon and Roshani Chokshi, among others. She is currently seeking middle grade, young adult, fantasy with a romantic twist, soft science fiction, historical fiction and a selection of picture books. Take a look at this page to find out more about what Thao likes and what she is looking for in these particular genres. Thao is also actively on the lookout for works by individuals from underrepresented communities. Genres that Thao is not currently seeking are adult literary fiction, nonfiction, general fiction for adults, mysteries, thrillers, suspense, screenplays, short stories, poetry and religious or spiritual books. If you would like to make a submission to Thao, she is currently accepting unsolicited manuscripts. If your submission is a fiction one, you need to submit a query letter, a synopsis of one page long, a short bio of you (including your publishing background), along with first 10-15 pages of your book. If you’re making a nonfiction submission, you need to submit a query letter and a book proposal. For a picture book submission to Thao, you need send a query letter, a short bio (which includes your publishing experience), along with the text of your complete manuscript pasted underneath the query letter. Do ensure you follow the submission guidelines carefully before submitting your work to Thao at this page. Margret McBride has made previous lists here at Writing Tips Oasis and joins this one too, as she is a major literary agent in San Diego. She founded The Margret McBride Literary Agency in 1980 and previous to this she worked in New York at Random House and Ballantine Books in their marketing sections. Other roles she has held include Director of Publicity at Pinnacle Books and Warner Books. A previous Library Board member at the University of California, and agent that represented the New York Times bestselling book entitled The One Minute Manager by Ken Blanchard and Spencer Johnson, Margret’s interests include a varied range of commercial fiction and nonfiction. When it comes to fiction, she is particularly interested in medical suspense, historical fiction, books with empowered female protagonists and legal thrillers. With regards to nonfiction, Margret’s interests are in memoirs, travel books, biographies, self-help, psychology, finance, entrepreneurship and management. If you would like to make a fiction submission or a memoir submission, you need email a query letter and the first 20 pages of your book pasted into the body of the email. For a nonfiction submission, you need to send a query letter pasted in the body of your email message, and as a Word document or PDF file, attach a book proposal. Take a look here to find out exactly what to include in your query letter and book proposal (for nonfiction), and to read the full submission guidelines. After following the guidance, you can send your submission to staff@mcbridelit.com. With a degree in English and Hispanic Studies from The College of William and Mary, Taylor Martindale Kean is a literary agent at Full Circle Literary. Examples of authors she represents include Anna-Marie McLemore, Diana Rodriguez Wallach, David Bowles, among many others. Taylor is currently looking for young adult fiction and literary middle fiction across different genres. In particular, she really appreciates stories with characters that have unique, diverse voices in different settings be it fantasy, contemporary or magical. Taylor is also partial to a novel that features a major crime and the impact it is has on a family central to the book. If you would like to query Taylor, you need to send a cover letter and the first 10 pages of your book using the online form found at this page. If Taylor is interested in your work, you will be contacted through email to provide further materials. Kari Sutherland is a literary agent at Bradford Literary Agency, which she joined in 2017 after a successful 10 year career in the editing aspect of the publishing industry. A graduate of Williams College, Kari used to work at HarperCollins Children’s Books as a Senior Editor. At Bradford Literary Agency, she is looking for children’s books that are character-driven, for classic tales that have an innovative twist to them, inspirational themes, magical realism, epic fantasy, mysteries and humor. She is also seeking young adult books with strong world-building, and characters that are compelling in any genre. Adult fiction that Kari is interested in includes upmarket women’s fiction, general fiction, magical realism, historical fiction, and contemporary that is light natured. Nonfiction that appeals to Kari includes history, biographies, psychology, pop science and topics that are outlandish. If you would like to make a submission to Kari, take a look at the submission guidance here. Do you know of any other literary agents in San Diego? Please tell us about them in the comments box below!